If you have a car, you may easily agree that car repairs can impact your financial budget in a sensible way – sometimes, you expect two-hundred dollars affordable repair bill… and that's exactly when your mechanic shows you a thousand-dollar bill! Unexpectedly, there's almost always something more to repair, to check or to replace and the bill costs increase over and over. And the bottom line is that car repairs can literally destroy your financial budget. Learn How You Can Save On Car Repairs Starting From Today! Do it yourself: often times there are simple car repairs that you can do yourself. If you have to replace a small engine component or light bulb, you have no reason to go to a mechanic and pay for that! 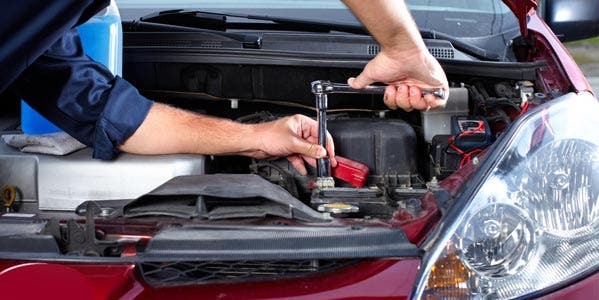 Schedule routine car maintenance: this is a task that only very few people keep in mind to do. However, a month-by-month plan of car maintenance services is a true money saver on sudden car repairs. Check oil and water levels yourself: another very simple thing that you can do yourself. Consider that fluid levels can easily destroy a car engine in certain weather conditions or if the engine is working non-stop for hours. Check your car tires: there's nothing easier that you can do yourself. Make sure that you inflate the car tires to the right level, so you will boost fuel efficiency and save some money on gas/diesel refueling. Replace brake pads: brake pads are essential components, we need them every time we want to stop the car or reduce its speed. As a consequence, brake pads can damage very easily: if you replace them on a regular basis (for example, every X miles), you'll save money on brake system repairs. Car components come with warranties, so if you buy a car component which doesn't work anymore during the period of time covered by the warranty, it's time for you to contact the company for assistance or free replacement. Sometimes used car parts make all the difference from a financial point of view: you can save up to thousands of dollars on repairs. If your car is not under warranty, look for a local independent car service center for more competitive prices on routine maintenance (oil changes, tire rotations, and others). Look for online coupons and discounts when you have to buy car parts: online car retailers allow you to save much money on brand new car parts. Research is a must-do step: you can't think to have everything within easy reach. Sometimes you have to take your time to research the cheapest car service center for mechanical repairs or for the nearest cars lockout service in your area. Trust Locksmith Locator for all car key and door lock troubles, this company offer high-quality locksmith services at affordable prices! When Do You Need Locksmith Locator? As mentioned above, sometimes it's not about mechanical trouble: it's all about an unexpected emergency due to car keys or door locks, to broken ignitions. A car locksmith is a precious professional resource when you realize that you forgot your car key in the locked car cabin. In order to get out from such an emergency, all you have to do is to call Locksmith Locator and request an immediate car lockout service. Locksmith Locator comes really helpful even with other locksmith emergencies, for example, when your transponder car key doesn't work properly: a qualified local car locksmith has all the needed tools to reprogram your key for you. And what about a lost car key? That's another common car emergency: it's not fair that you have to spend too much, so consider saving some money thanks to the affordable prices proposed by Locksmith Locator! Quality Doesn't Mean "Expensive Price"! More car emergencies include a stuck key in the ignition, jammed key in car lock, faulty car locks, broken car ignition… the good news for you is that now on you can save for guaranteed car locksmith services by qualified professionals. High-quality car repairs don't mean that you forcibly have to spend tons of money – in fact, the larger the car assistance or locksmith company, the lower the car service bill. This is sort of a "market rule" that comes really helpful for millions of car drivers who need to save money on car services.